We spend lots of money to buy our Smartphone but we don’t use the full potential of our smartphone. There are many apps & features that can make our life easy and one such feature is making money with apps. There are hundreds of money making apps you can install in your smartphone and make some good income. But here I am showing you 20 best rated apps that gives more income in less time. By far, Swagbucks remains among America’s favourite money making apps to make extra cash on the move and in spare hours, without the bother of using your computer. Called SB Answer, this app from Swagbucks is very easy to use. Once registered, you can participate in dozens of online surveys during commutes or free time. Additionally, SB Answer also allows you to post reviews of your local shopping experience at certain stores in your vicinity. You can join Swagbucks online survey community by simply registering on the app. 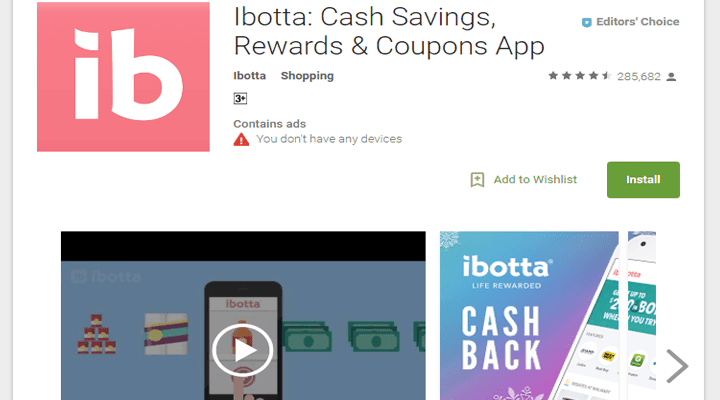 Ibotta is among the money making apps which allows you to get cash back on everyday purchases. Before shopping, traveling, dining or any other transactions, you need to check Ibotta. Buying through the app, which features several special offers, helps you save cash. Additionally, featured online stores also give you back some percentage of your spend made through Ibotta. coupons, discounts or promo codes. Check in for daily coupons on tons of products from different brands, stores and apps to make money. Thanks to our online coupons and rebates, our customers have earned over $220,000,000 in cash back,” claims Ibotta website. ShopKick is another best app to make money if you are a heavy shopper. You can walk into any store and redeem for gift cards or coupon. You can make money while you are shopping. 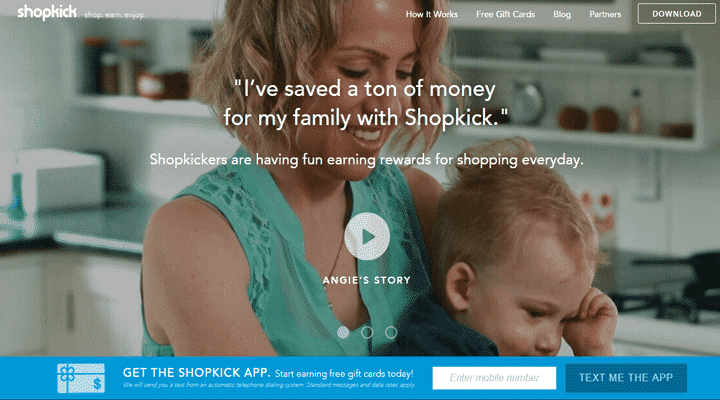 ShopKick pays you a minimum of $2 for a gift card. Moreover the best part is that the app is absolutely free of cost. For Android platform, you can get it through Google Play. In return, you are paid money to your Paytm account that can be utilized for anything from shopping online to recharge of prepaid mobiles. 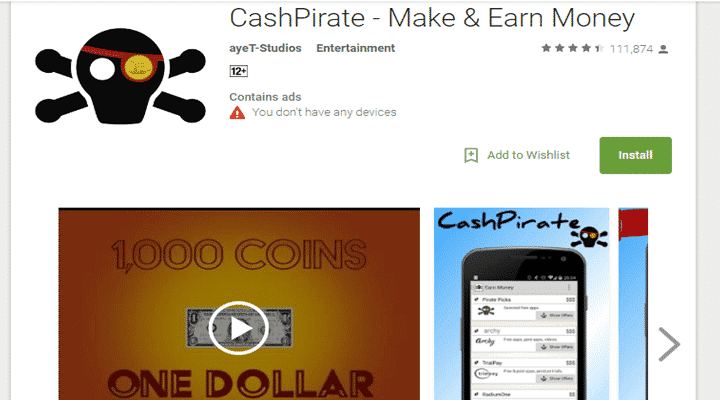 CashPirate is one of the best money making apps to earn money easily. Like Mint Coins, you can download the apps to make money, trying free products, watching videos & referring your friends. You can earn 10% of earnings that each of your referral earn & 5% from their referral. They use the terms ‘Coins’ for the earnings & when you have earned 2500 coins, you can easily withdraw your earnings in your PayPal account. This app is rated 4.5/5 from 42,000 satisfied users. It means the site is trustworthy. 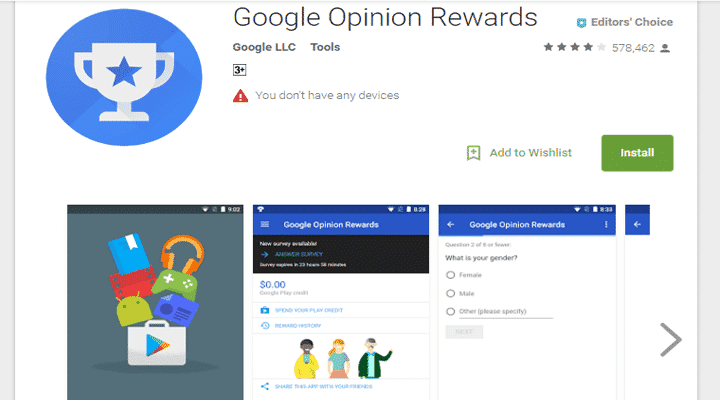 Google opinion Rewards is among the Best money making apps which does not pay you any cash. However, it does reward you with Google Play Credits where you can redeem for Android apps, Google Music, Books, Magazines and movies in the Play Store. Here you can earn by completing a small survey giving your opinion about a product to Google. Google forwards it to the company looking for consumer experience. Once you sign up they will give you surveys every week and rewards could be from 25 cents to $1 or even more. Make Money is one of the most popular money making apps that can be downloaded on any iPhone or Android phone. 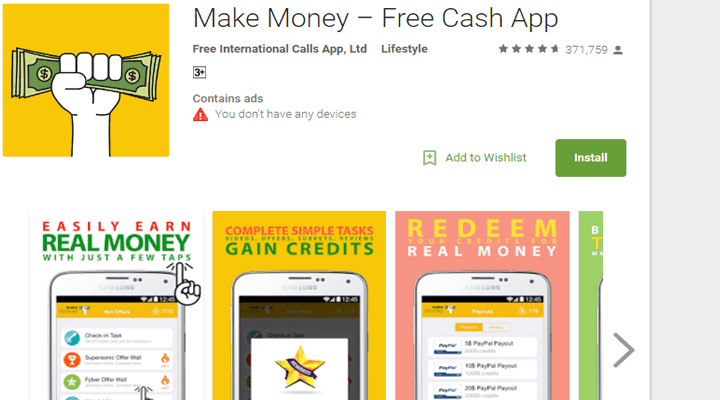 Make Money app allows you to make some extra cash by completing simple tasks such as watching videos, trying free apps, completing surveys, giving opinions, testing services, endorsements and free trials of products, services and apps. You can also play free beta versions of video games through Make Money. Your earnings are paid upon reaching the minimum payout limit through PayPal. 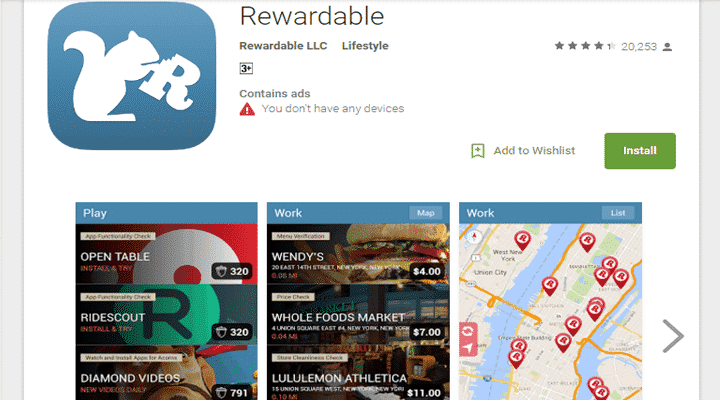 Rewardable app pays real cash not like money making apps such as Google Opinion Rewards where you get credits. This particular app is only for users living in US. Your job would be completing a task online or answer few questions in a store. It could pay you from $5 to $20 depending upon the job you choose. They pay you via PayPal. 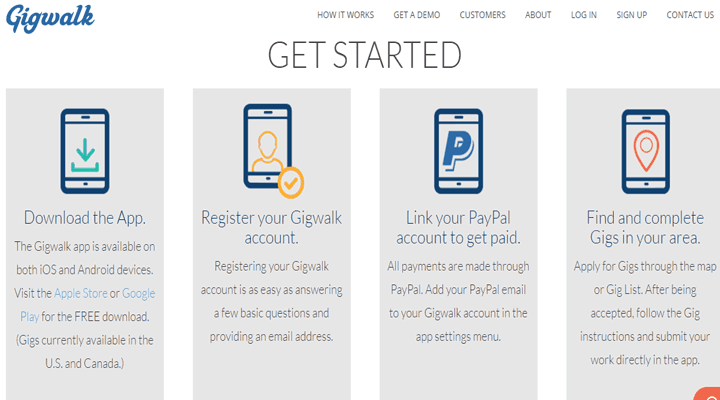 Just like Rewardable, Gigwalk is also available for people in US and some parts of Canada. Gigwalker is one of the apps that make you money by completing assignments. It could be taking photos of different places, handing out fliers or pamphlets or becoming mystery shopper. Such money making apps are laborious as you might have to go out on the streets. You can make between $5 to $20. Again here you do not make money but earn points for doing things like scanning the items at a grocery store, checking for items in a shopping mall and other errands. You also get points for playing games and watching videos. Later on you can redeem these points with gadgets, gift cards and other rewards. This is among some really good money making apps for shoppers. Money making apps like app trailers can be improved by giving your honest experience about the app you are using. You need to share a review about the app how good or bad the app is. If you watch a video then you get half a cent and for trying out a demo you can make from 10 cents to $1. You also make points for referrals. 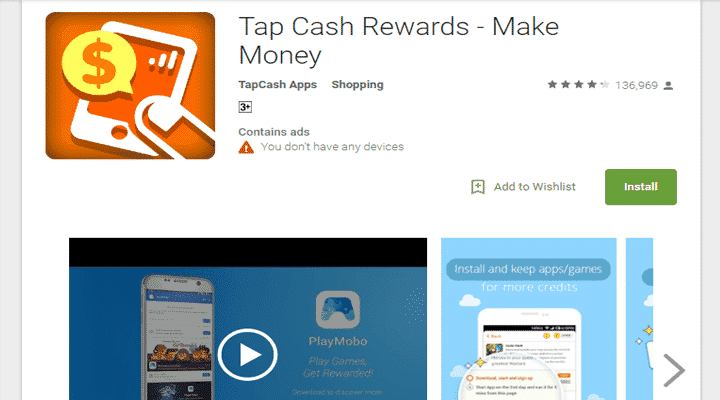 Tap Cash Rewards is among the fast money making apps for android which is emerging as a popular app for people to make money while on move or spare time. You can download this app from Google Play on your Android phone. Upon completing the online registration process, you will be invited to earn money through different activities. 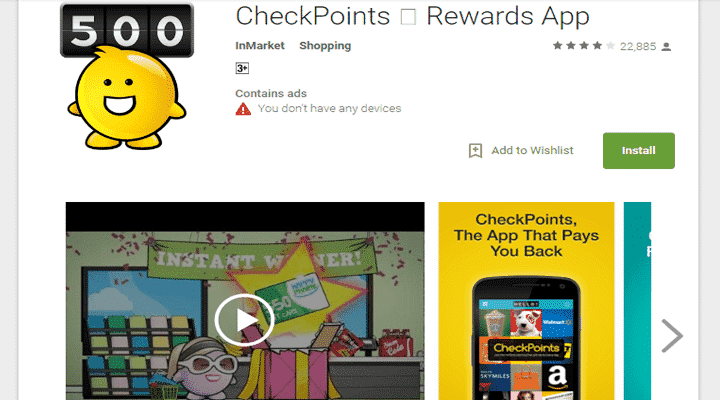 These activities include watching videos and advertisements on your smart phone to rate them, testing new apps before being released to the public and playing beta versions of computer games. 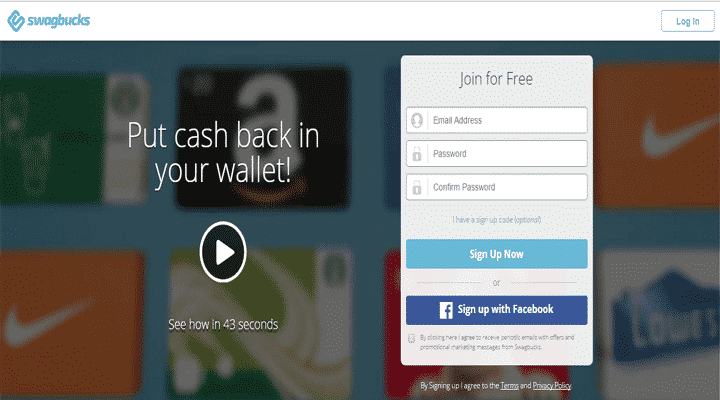 In return, Tap Cash Rewards offers cash through PayPal and free shopping coupons for several reputed online stores. This is a rather among the confusing money making apps for beginners. 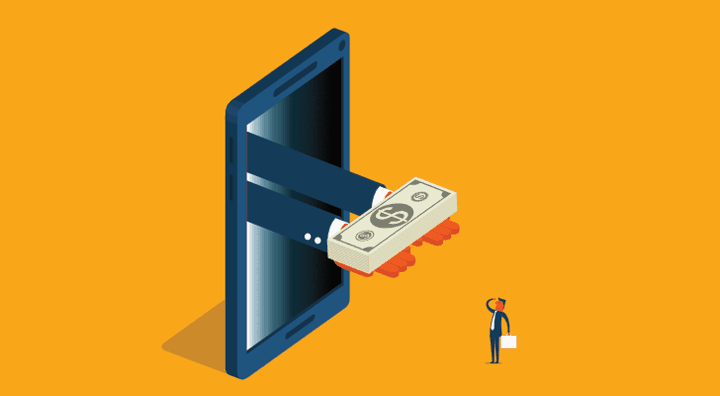 There are two Slide apps to make money: One that allows you to make online payments for various purchases and another that offers cash for completing certain tasks. Slide is very popular in India and Pakistan. Slide pays money through the same app, which can be used for online payments while shopping or recharging your prepaid mobile number. 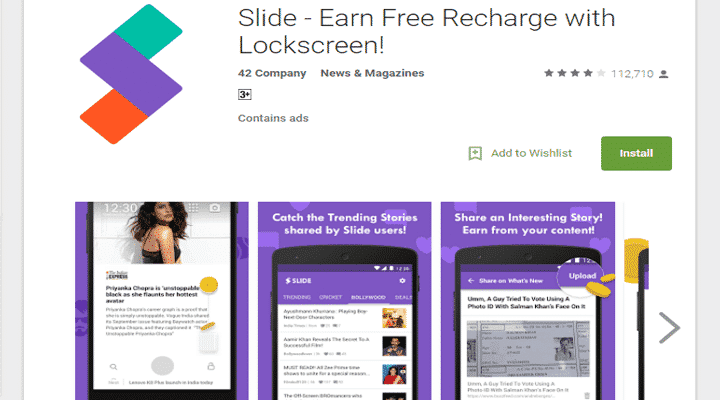 SlideJoy lets you make money to check trending news and to unlock your lock screen. Slidejoy pays you in cash or rewards you in gift cards to have trending news and ads on your lock screen. 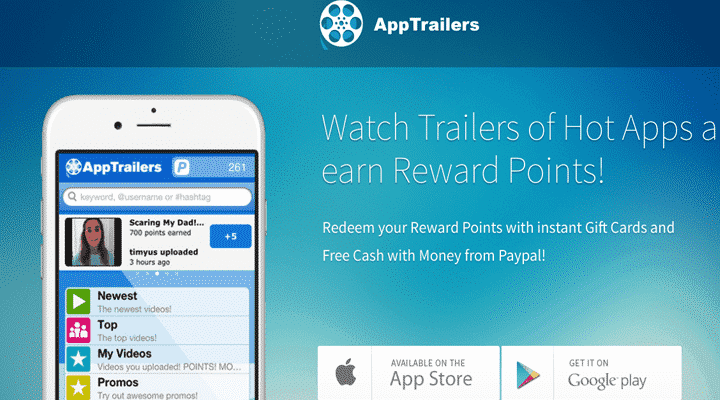 “Redeem cash rewards to your PayPal account or gift card rewards to your favorite retailers/brands. 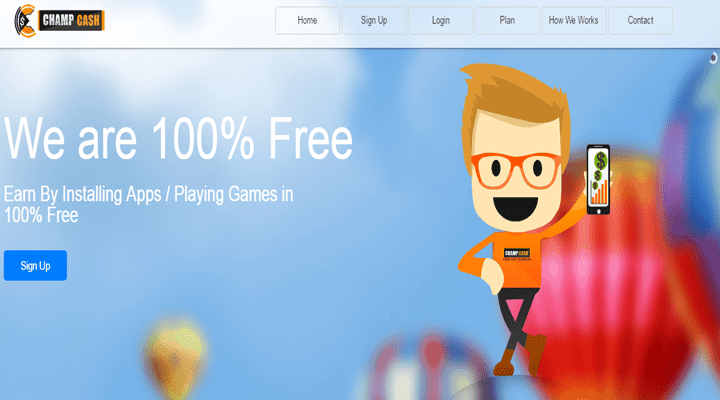 You can even donate the money you make from Slidejoy to give cash to charity,” says the website. 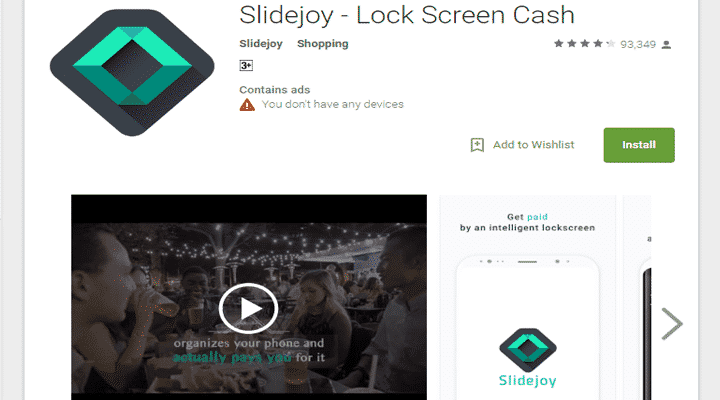 Slidejoy register users can make money every time they use their mobile phone. “Every time you unlock your phone, you will get a card with news or a promotion on your lock screen,” it adds. Champcash is a very new entrant in the field of Best money making apps that offer money for completing small tasks. Champcash runs a referral program. This means, you download the ChampCash app and refer your friends to follow suit. For every successful download by persons you refer, Champcash pays you a small amount of money. ChampCash however comes with a major catch. Once you have installed the app and registered successfully, you get paid only for installing more and more apps and downloading videos. Hence, ensure your mobile phone has sufficient memory to accommodate all those extra apps to make money and videos you need to download before getting the promised rewards. Compensation is in form of shopping coupons for Amazon India and Flipkart, among others. iPoll is also one of the Best survey apps that pay. This is one of the money making apps for android which allows you take surveys and make cash. iPoll will pay you cash as well as credit for the iTunes and Amazon credit. You can choose different surveys, some surveys everyone can take up and some are restricted not everyone can take up. Viggle is another app you can make some good money with. You can make money while watching TV and listening to music. You get reward points for watching tv show or listening to music albums. 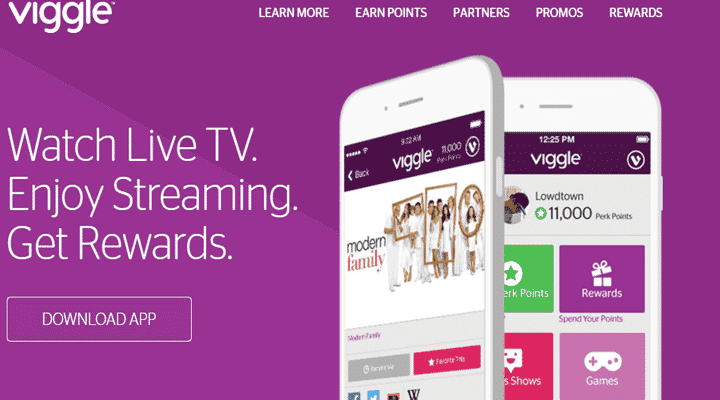 With Viggle Live you can earn points by completing polls while watching a TV show live. As the name suggest, you will not earn money but you can earn free talk time by using ‘Earn TalkTime’ app. 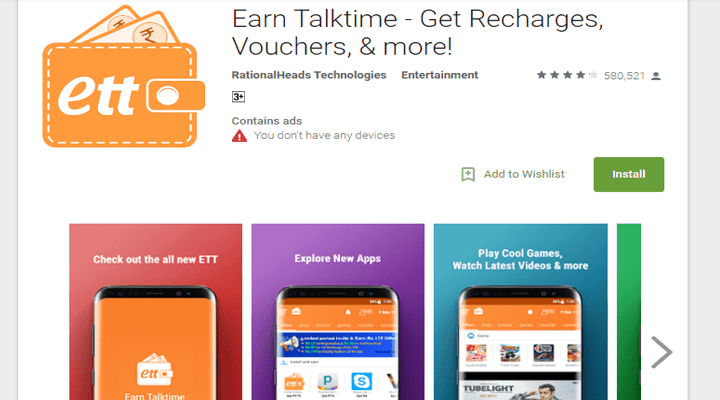 There are number of ways you can earn free talktime by such money making apps. You can get Loan from ‘Earn Talktime’ in case you don’t have sufficient balance. 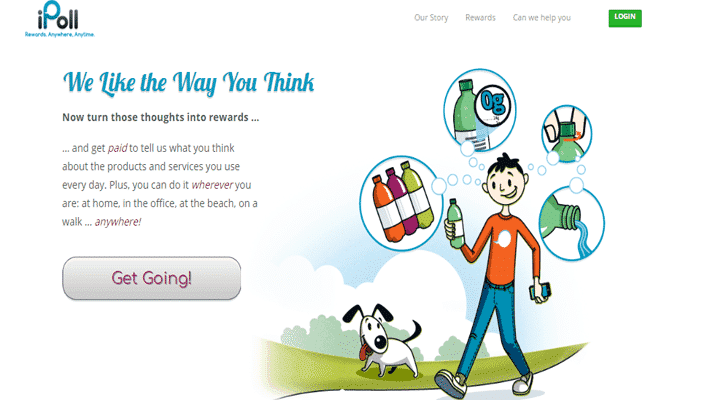 Its really easy & fun ways to earn free money from your shopping by submitting your cash receipt to Receipt Hog. You can even earn more by referring your contacts & scanning barcodes etc. So install the apps & turn every receipt into cash. Survey On The Go pays your rewards through PayPal. Additionally, some surveys on this app entitle you to receive freebies such as samples for testing and review before they are launched in the market. So these were 20 Best money making apps which you can install and earn some extra $500 to $1000. I think appflame app is going to pay me. They sent me a request to verify paypal account for withdrawal. Appflame is from the Applike company. Cashpirate app never paid me. I done a withdrawal in May 2018 and still no payment. Hey, do you use a lot of apps on your smartphone or tablet? 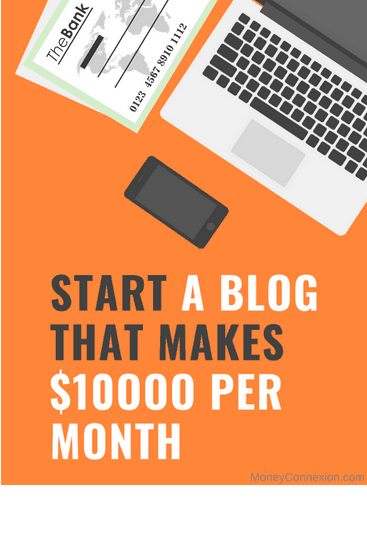 If you are like most people you probably do, but did you know that there is a way you can actually get paid for using the hottest new apps as soon as they are released? Most of the surveys posted on this app are very simple and can be completed within minutes. However, they are available only to residents of the US. How do we get paid and where do we even start. is ths work in Pakistan ? Always great knowledge provided in your articles…keep up the good work !!! 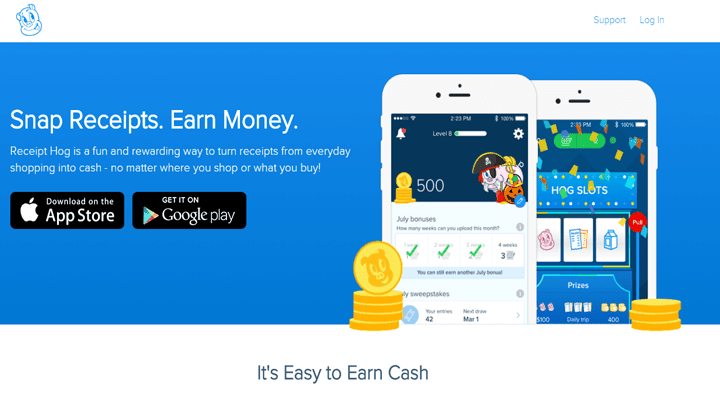 Mobile app – Earn Money is trusted app or not. 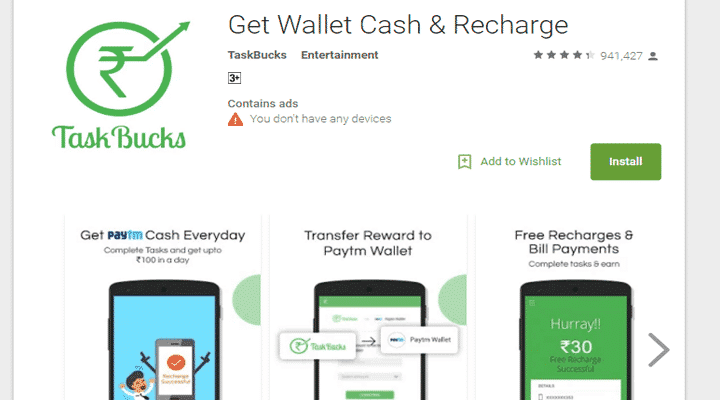 Bcz I’m looking some negative reviews on Google regarding payment issues. Any one wants to earn 25 to 50 rupees daily. I am not saying 100$ or 1000$ daily am just saying 25rupess daily. This works only in INDIA. how create my account paypal,…etc, that show on your website. Hi am a Kenyan and nothing seems to be working for me.Am a student and would like to clear off some bills in school. You always provide very good articles with thorough research. Its always great to read your articles and get new things. Could you please make a list of apps for Indian markets that are interesting like the above apps? All we get these days are downloading apps and taking surveys which dont credit you at all. Am a Kenyan,is there any android app that can earn money in my country? I think Observa is an app that has jobs in big cities in Kenya. I have used your code for mint coins but its not opening . It asking for mail id and password even though i entred them. Another fun app that doesn’t require a lot of time is Qriket. It is a free app that gives you real money, by simply watching an add, then spinning a wheel. For an extra free 25 spins use code 70045E when you sign up. Hi plz help me which site is better for me. I m Indian but stay in bangkok and I have 2 baby. And plz help me how can start this site. Its very inconvenient to work from mobile so most of the companies does not allow or even if they, you will not be able to earn much. Best way is work with desktop or laptop. Hi Priya, thanks for above info. I am not able to download cash king from above link. Sure this is the best App to get some $$$, use this code in HWPKAN and start winning 1000 coins. Any iPhone 4s apps to make money…. Sure CashPirate is the best app to get some money, use this code in HWPKAN to earn 1000 coins. The android apps list is very good. The list new to me. Every app explained in easy way. Thank you for this awesome and great list. This is good idea to make money from android smartphone apps. There are hundreds of apps you can install in your Android mobile (or even in your iPhone) & you can MAKE GOOD MONEY from this.